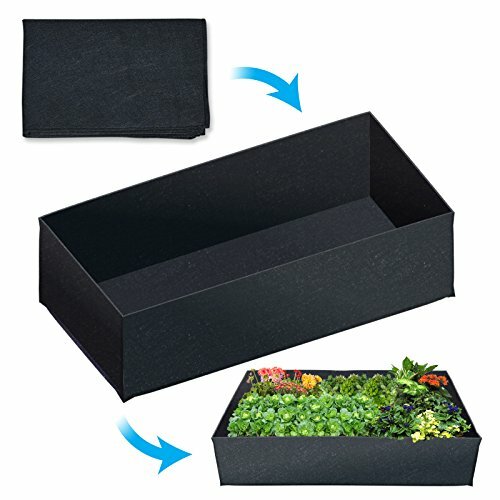 This Eco-friendly raised bed provides a simple solution to anywhere gardening. Use them on the patio, in the backyard, in the sun room, or on the roof! Let your creativity loose and garden wherever your heart desires! Made of non-woven fabric, a highly durable, UV resistant, non-woven fabric that provides exceptional air flow throughout the soil and root systems and allows excess moisture to easily drain away. Provides aeration, air pruning roots for vigorous root systems.